Certain YouTube reforms, such as the new logo that is devised to downplay the focus from the word Tube, are essentially added for the purpose of marketing and brand building. 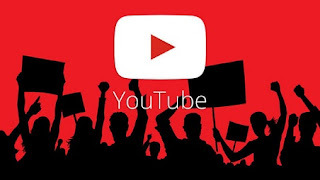 However, apart from the refreshed look, both the website as well as the app has silently released an array of new features to optimize the YouTube experience. Do you watch videos on YouTube while commuting to work and often get zoned out? Well, just, tap twice on the left-hand portion of the video in order to rewind a bit. Do you want to skip a specific chunk of the video? Well, just tap twice on the right-hand portion of the video. This feature is very handy in rewinding or fast forwarding videos. Well, do you often watch tutorials or lectures on YouTube? Sometimes these may be slower than you'd like them to be. Well, you can quickly speed up the video by increasing its playback speed. Are you learning how to dance and want to watch the video at a slower pace to see the steps more clearly? You can slow down the playback speed as well. Just select the video and start playing it. Just press anywhere on the video, and touch the tri-button icon located in the upper right-hand edge of the screen. Go to playback speed and select the rate. Everyone may not prefer YouTube's light theme. Users can change the YouTube website themes to dark mode. This theme is really cool and convenient for those who watch YouTube videos at night. In order to enable the dark mode, just open the YouTube website and go to your profile icon located in the top right-hand corner. Merely click on Dark Theme from the pull-down menu. Video preview is another new feature added to YouTube. Users can now see a three seconds long preview of the video before they play it. This offers a greater YouTube experience and users can easily locate the videos that they wish to see. You just need to hover over the thumbnail of any video, and the three seconds long preview clip will start playing. Suppose you just got done with viewing a fantastic video on YouTube from your smartphone and you wish to know if there is any similar stuff on YouTube. Or if you see the videos on your computer, then you can find the related videos in the Up Next corner. On smartphones and tabs, you can press on the screen when the video is running in full screen, and you will be able to see the related suggestions for videos.